Photo by katdavis733. CC0/Public Domain license. Seattle Times endorsements too boring? Stranger endorsements too vested in their own navels? Need a functional definition of the word “progressive” that doesn’t include Jenny Durkan? Fear not: The Seattle Star has come to your midsummer rescue. It’s hard to keep up on all this democracy stuff. Fortunately, in true representative tradition, The Star’s editorial staff has done all your thinking for you. Here’s what we have decided. While we are sympathetic to Stan Lippmann’s emphatic vision of King County that extends Ecotopia into the 22nd Century, those ideas are probably too far out and groovy for our jaded and cynical electorate. In keeping with the spirit of being jaded and cynical, we therefore endorse the incumbent Dow Constantine. Mr. Constantine and his radio DJ voice inherited a complete budgetary mess eight years ago from a council and executive that couldn’t seem to agree on anything. Several massive and expensive projects like Brightwater threatened to sink the county even farther. While we’ve occasionally found him a bit harsh and even authoritarian on certain issues, he has righted the ship of state over those eight years in impressive fashion. There is much more to be done, certainly, but Mr. Constantine has given us no reason to vote for his competitors, nor have they given us any compelling reasons themselves. 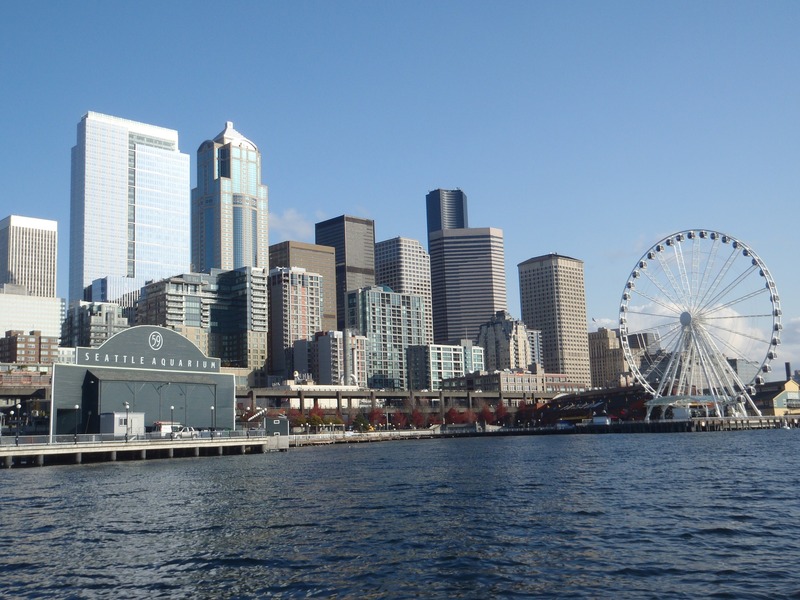 The Port of Seattle needs a shake-up, and probably a shake-down as well. After what seems like three solid years of scandals, the Port leadership has become embarrassing not just to the city but the entire region. It’s time to clean house, and all three of our picks for Port Commissioner reflect that desire. In Position 1, we believe that Ryan Calkins is committed to greater openness and transparency throughout the entire operations of the Port. While we still need tangible proof of this commitment, what we do not need proven is Mr. Calkins’ own ethics. He has proven himself astute both financially and socially as a small business owner. We believe he will also take on the dirty work involved in helping to unionize more of the Port’s labor, which desperately needs doing. And he will do everything that John Creighton said he was going to do, only better and further. Incumbent Stephanie Bowman has, to her credit, done some useful things, such as forging a tighter alliance between the ports of Seattle and Tacoma, where she used to work. But it hasn’t been enough. Despite her expressed desire back in 2015 not to move forward with the status quo, Commissioner Bowman has been the very definition of steady-state. We supported her in 2013 because she promised transparency, fiscal responsibility, and environmental acumen. We are still waiting on those promises. It’s not good enough. Ahmed Abdi comes from the roots. He has spent his time actively fighting against the Port’s more ridiculous positions, and heading up the fight for Sea-Tac’s $15/hour minimum wage for hospitality workers at the airport via Proposition 1. He will bring a social conscience and a perspective on labor that the Port of Seattle currently lacks. We find this the easiest choice for Port Commissioner on the ballot. Position 4 is the most contentious of the three positions up for grabs this year and, for that reason, is the most difficult to decide. There are three candidates with whom our editorial staff would be sanguine if elected. But we always side with labor against politicos, and the best labor candidate this time is easily John Persak. Mr. Persak is a lifelong maritime worker and current vice president of the longshoreman’s union. He knows the workings of the Port of Seattle better than any other candidate on the ballot. He has written many times to us over the years at The Seattle Star pitching his ideas about land use, planning, and environment, so we know his views are not ad hoc attempts to garner votes. We firmly believe he knows what he is doing, and will help lead the Port out of its numerous messes. Jon Grant is the former executive director of the Tenants Union of Washington State and would obviously be an avid champion for affordable housing on the council, with very specific policy proposals informed by his experience as an organizer. Along with affordable housing, Grant plans to focus on police accountability, a vitally important priority for the council’s at-large representatives. If elected, he would insist that Seattle’s Office of Professional Accountability add more civilian personnel in order to investigate police misconduct with greater impartiality. After two painful years of Tim Burgess being exactly what we said he would be, we see no reason to change our endorsement this time. On the positive side, the race is much better this time. We could certainly live with Teresa Mosqueda, who has presented a brilliant case for herself in open forum. She is intelligent, perceptive, ethical, and ambitious, with clear plans and goals. And she’s a résumé that positively screams Fight Fight Fight. We would like her to stand up to the authoritarians in SPD with some more firmness, but this is our only reservation. We humbly endorse Jon Grant by the weight of a finger on the scale of justice, but Ms. Mosqueda would also do us proud. This race is really between Pat Murakami and Lorena Gonzalez. While we’ve supported Ms. Murakami in the past, and her issues are certainly our issues, we find it difficult to be enthusiastic about her NIMBYism when she should know better and her occasional misunderstandings of the difference between business and governance. The alternative is Lorena Gonzalez who has proven to be much better than we thought she would two years ago. Having said that, her blind spots have been maddeningly consistent. Her solution to Seattle’s out-of-control police guild has been bureaucratic rather than functional. She has caved on the massive tribute to executive ego that is the new North Seattle precinct plan, and she is in favor of yet another youth detention center that promises to create more problems than it solves. It’s clear that Seattle’s police guild has had some sort of hypnotic control over every mayor since Wes Uhlman, so it is an expectation that our city’s legislators will be the ones who stand up to them in our stead. Ms. Gonzalez has not done so sufficiently, and in giving her our endorsement we hold out hope that she will grow more resolute than she has shown in the past. The staff are split on this one. Cary Moon has the most votes among us, but there are cases for Nikkita Oliver and Bob Hasegawa. Ms. Moon has already proven herself an excellent strategist who is dedicated to the rejuvenation of the city. Nikkita Oliver brings youthful energy and an admirable grassroots sensibility that shows her concern for Seattle’s neighborhoods and citizens. Bob Hasegawa has served our state and city nobly for a long time. There is no question on this one. Eden Mack is eminently qualified and dedicated to education for all. No one else is even close. The choice in this race seems to be between fresh, new perspective and solid, steady leadership. We’re throwing in our hat with freshness. Zachary Pullin DeWolf will keep the rest of the board honest. We think he will ask the right questions and serve as the conscience for the others. This is not to denigrate his experience, of which he has plenty as a teacher of Braille, but we value morality on our boards and a social conscience. Zachary Pullin DeWolf stands out in this regard. If that’s too speculative for you, we are okay with Andre Helmstetter. His leadership in the community and his skill in management are exceptional, and we feel certain he would bring these qualities to an often rudderless school board. The choice here is the same as the choice for District No. 5. But the solid, steady leader here is a local legend. It would be tough to side against Betty Patu and her 32 years of work in Seattle Public Schools. But Chelsea Byers has lots of great ideas, too, and is also a career-long educator. This one is a toss-up. Tu decides. This one is difficult. We detest our statewide obsession with funding everything with sales tax. Our sales tax is ridiculously high. And, being a sales tax, it affects people who spend most of their money on living expenses. Every schoolboy knows all this. We also know that the state constitution has effectively left us no other choice. In the absence of a stabilizing income tax, we are stuck with a list of taxes which are all inefficient and all unfair to the working class. Proposition No. 1 seeks to do something that should already have been done by our broken education system. Yet despite McCleary, nothing has happened in our education system to fix these problems, and it’s highly doubtful they will any time soon. We aren’t fans of various parts of the proposition. But we’re not fans either of forcing children to depend upon a broken education system to provide them with equal access to science, art, and history that they already deserve. Someone has to fix it, and if it won’t be politicians, then it has to be the public. We grudgingly vote to approve.